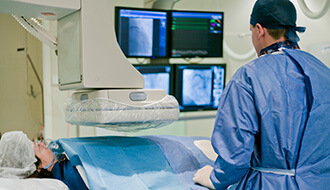 Cardiac MRI is a non-invasive diagnostic procedure that uses a powerful magnetic field, radio waves and a computer to produce detailed pictures of the hearts structures (anatomy) and functioning. 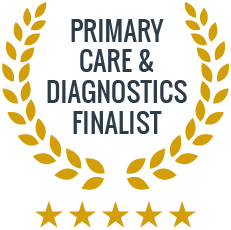 It is one of the more popular diagnostic tools because it does not involve the use of x-rays. Instead, a large, cylindrical magnet is passed over the are of the body to be monitored. Cardiac MRI is most frequently used in patients who have congenital heart disease, or to detect or monitor cardiac or coronary artery disease. It reveals the size of the hearts chambers, any damage or scarring suffered after a heart attack, build-ups of plaque, or blood vessel obstructions. If you are experiencing any heart-related symptoms, or have an existing condition, a cardiologist may recommend that you have a cardiac MRI, to help them get a better understanding of your condition and treatment needs. The exam takes between thirty minutes to an hour. You will receive an injection of contrast dye beforehand, which allows for a clearer picture to be taken. The procedure is painless, although it can be uncomfortable to remain still for the imaging. In some cases, the enclosed nature of the scanner can cause anxiety, in which case mild sedation can be arranged. Our cardiology specialists are here to help you deal with any existing conditions, or to help you get a clear diagnosis if you are experiencing symptoms. Come and speak to a member of our team if you have any questions, concerns, or if you would like a heart health check-up. Give us a call on to make an appointment. Why do I need to have a cardiac MRI? Cardiac MRIs are used to diagnose issues such as tumours, infections, issues with the hearts vessels, plaque, damage or scarring, and inflammation. The cardiologist may recommend this diagnostic method to you if you are experiencing heart-related symptoms or have an existing condition. A cardiac MRI takes between 30-60 minutes to complete. It is a painless procedure although you can be given a mild sedative if you find it stressful. Does cardiac MRI involve x-rays? No, the cardiac MRI is carried out using magnetic fields, and is considered to be safer than and preferable to an x-ray.